Tracy Riley won&apos;t soon forget Saturday, Sept. 18, 2004, as she stood on the banks of the Beaver River in Bridgewater, Pa., watching the water rise. The remnants of Hurricane Ivan had dumped a record 5.9 inches of rain on the region the previous day, and the usually placid tributary of the Ohio River had turned into a maelstrom 15 feet above its normal level. The torrent was ripping out the docks of Riley&apos;s marina - damage that would ultimately cost $250,000. Fortunately, all boats had been evacuated. Four months earlier, Riley had signed papers making River Harbour Marina her own. It was a celebratory time, though she says buying the marina represented a "big step" that was somewhat "scary" because she was solely responsible for operations and making the business successful. While staring at the raging flood, it seemed to Riley that all her hard work and dreams had been swept away in a single day. Recalling the setback four years later, Riley, 45, says it was a challenge to overcome, not a reason to quit. Revenue grew steadily after the flood - in some years by as much as 20 percent - until the marina reached 100 percent capacity last year. Looking forward to this season and 2010, she&apos;s optimistic in spite of the sour economy. "I&apos;m not feeling all that stressed about the future prospects for marinas in the area, including mine," Riley says. "Boating is so vibrant here that I don&apos;t see any substantial downturn in people using their boats. ... I try to keep a positive attitude about it all. Being worried only makes life more stressful." 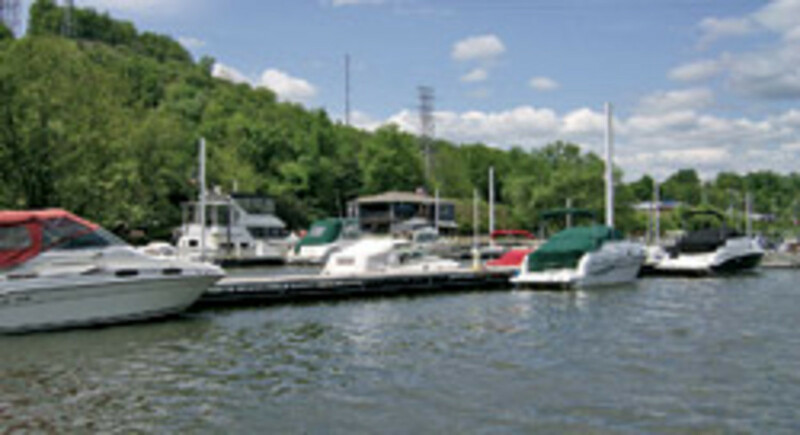 Bridgewater is about 20 miles from the thriving waterfront of Pittsburgh, a popular destination for Riley&apos;s customers. They own a variety of powerboats - cruisers, deck boats, pontoon boats and houseboats - and they use them frequently. A strong base of recreational boating in the area was one of the reasons Riley got into the marina business, she says. 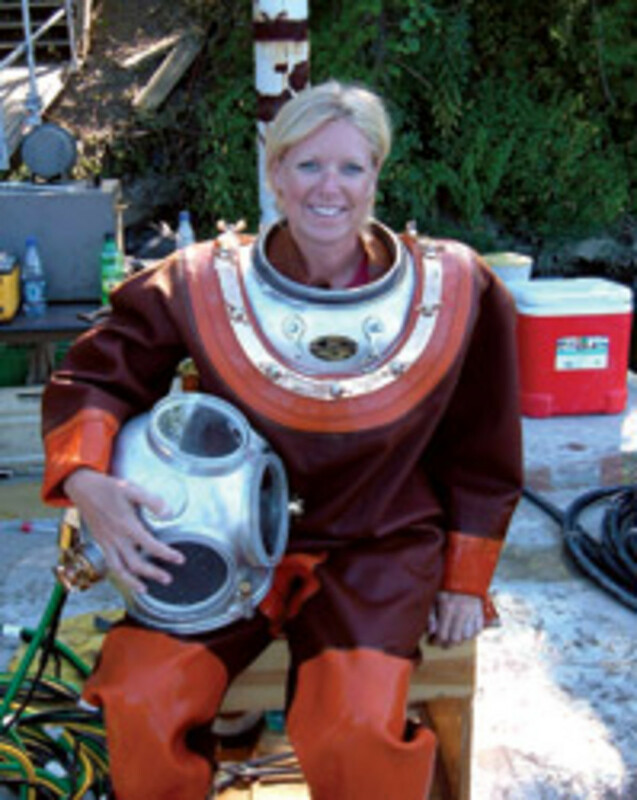 Riley&apos;s success story began in the mid-1980s, when she and her husband, Rich Riley, founded Marion Hill Associates, a New Brighton-based commercial diving and marine construction business serving the Pittsburgh area that has since grown to 25 employees. She learned the marine business from the ground up, and she&apos;d worked in customer service for large corporations and in real estate. A solid foundation of marine know-how combined with a flair for customer service provided the key ingredients to successful marina ownership, which she says is essential. "My real-estate background allowed me to be comfortable talking with the public. I see a lot of my job as a sales position, making sure customers are happy," she says. "I love being around boats. I love the water, and I love people. It&apos;s important to make them feel at home, and that&apos;s what I try to do. We&apos;re a very family-oriented marina." Riley was familiar with River Harbour Marina when it went up for sale in early 2003. Marion Hill Associates had done construction work on it, so she had a rare perspective on its infrastructure. She saw an opportunity to grow the business, if she made some improvements. The facilities were rustic, with no showers and only portable toilets for restrooms. The marina was at 50 percent capacity at the time. Riley approached the owner, John Miloser, but she couldn&apos;t afford the asking price for the marina. Undaunted, she worked out an arrangement whereby she would manage the marina for one year and give the profits to Miloser in a sort of "sweat equity" deal. The value of the time spent was applied toward the down payment for the marina. "It was a trial period for me to see if this business was going to work out and if this was something I really wanted to do," Riley says. "The owner got all the profits for the first year, and I did all the work. There was very little risk for either of us." The work was hard, but the merits of a creative business arrangement paid off. Riley says Miloser saw she was serious about running the business and that she was likely to succeed. Riley wanted to move forward, but she was unable to get a bank loan to cover the mortgage. Instead, based on her performance during that first year, Miloser agreed to hold the paper, and the property was put in her name in 2004. She expects to have the marina paid off by the end of next year. Riley began implementing her vision for the marina. "I wanted to make a place where women would feel comfortable," she says, "which meant we needed spotlessly clean bathrooms and showers." She added a picnic area near the docks and an entertainment room in the main building, along with vending machines. After the flood, Riley enlisted Marion Hill Associates to do the rebuild. She added 600 extra feet of dockage for seasonal and transient customers, expanding the number of boats she could accommodate, which increased revenue. The marina has dockage for about 100 boats. Referral business flourished. "Word of mouth was the biggest factor in the steady growth," she says. She also implemented a direct marketing campaign to improve communications with existing customers and to attract new ones. "You need to be proactive in this business," she says. "You have to be willing to do what it takes to keep your customers coming back year after year." Riley is the sole employee. She cleans the heads, does the books, restocks the vending machines, and maintains the docks. She says when the marina is open, from May through October, she puts in at least 40 hours per week in addition to another 40 at Marion Hill Associates, where she works as the human resources manager and business administrator. She doesn&apos;t provide boat services, so she needs no support staff. She does offer wet winter storage. As fuel prices soared last year, Riley noticed that fewer of her customers were using their boats. Again, she saw an opportunity. "People spent a lot of time in the marina and didn&apos;t go anywhere, so I put cable TV hookups on the docks," she says. "Because I knew people wouldn&apos;t be going places, I wanted to give them a good reason to be on their boats and using the marina. I wanted to keep them connected to the water." It worked. She says some customers spent their vacations at the marina. To build a sense of community, Riley stages monthly events for customers and organizations. She says one of the most popular is the annual Pirate Fest. Customers and guests dress as pirates as they enjoy games and activities for kids and adults. At night, she shows a movie on a big screen, which people can watch from their boats. Pirate Fest, the annual Fourth of July party, and Steak & Ale Night for the Pittsburgh Maritime Club all help build good customer relations, she says. Riley expects turnover at the marina to remain low and revenue to remain steady. Although there is room to add more docks, she says she has no plans for expansion, given the current economic climate. "I&apos;m taking a wait-and-see stance," she says.